To celebrate Christmas, Guerlain has given carte blanche to the Parisian artists and wall tattooers, Alex and Marine, to create exceptional cases. Their work puts a modern spin on the house's iconic codes in a flash of gold. 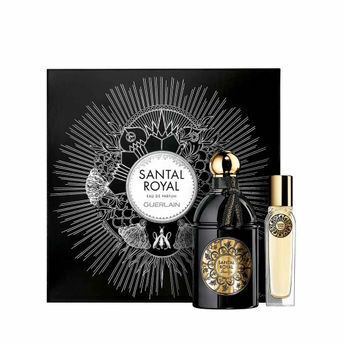 Santal Royal is a woody oriental fragrance exalting sandalwood, one of the rarest and most precious ingredients in the perfume world.